What is the meaning of IoT? History of the IoT? Place of the Industry 4.0? In this article, you can read what the IOT is, where it is used, how it is developed, why it is important, and where it is the technology development. 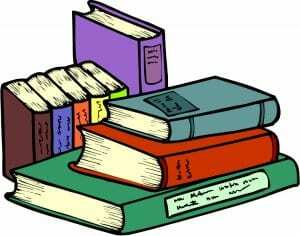 In addition, in the article, "big data" and briefly industrial revolutions were mentioned. In this article, you can read what the IoT term is, where it is used, how it is developed, why it is important, and where it is the technology development. In addition, in the article, “big data” and briefly industrial revolutions were mentioned. What is the “Internet of Things” Technology? Definition of IoT is not complicated. About 15 years ago, the internet was just about to enter our homes, but nowadays the internet is no longer a luxury, it’s evolved to the necessity. People used the internet for the first time on a computer. With the development of technology , phones that can no longer connect to the internet are not put on the market. If we need to diagram this; the internet first came to the computers, then to the phones. But with it, the IoT development allows you to integrate the internet into every aspect of your home, office, factory or shop. Briefly meaning of the IoT, devices that connected each other on the internet. All of the networks we talk about are connected to a network with a gateway and cloud (online storage service) and a value created for it. It is impossible to overlook the size of the role of many players, such as the infrastructure and communication that create this value. IoT uses sensors for a device that is able to detect changes in an environment. What do the sensors do? The sensor is able to measure a physical changings. For instance, changing of the temperature, light, height, pressure… IoT devices work with sensors. Sensors should be sensitive to the phenomenon that it measures. It should not be sensitive to other physical phenomena. It should not modify the measured phenomenon during the measurement process. How to use and send data of sensors to cloud services? You can look at our examples with Raspberry Pi and Arduino. The Internet of Things was first used at Cambridge University in 1991 by about 15 academics with the idea of solving their own problems. They did not want to wait for their coffee beans to brew in front of the coffee machine. The problem was solved by sending alerts to the computers from the coffee machine whenever each scholar was brewing his own. So the academicians did not waste time in front of the coffee machine. This was the first known IoT use. The emergence of the concept of ‘Internet of Things’ was by Kevin Ashton in 1999. The IoT is one of the most fashionable terms in the information technology sector. In fact, this term has a history of almost 20 years. In 1999, the WiFi was in the crawl stage and mobile networks have not yet gone into the full IP-based configuration. Under these circumstances, it was impossible for that period to think about an IoT that all devices have their own IP address. To sum up, producers didn’t invest in IoT until cloud technologies were developed. Today, all devices connected to the internet. How was that possible? What has changed since the 2000s to make this all possible? There are happened several key factors. These factors will be mentioned below. First of all, one of the main problems was the narrowness of the network area. Since the 2000s, network area has been expanding. With the expansion of the network area, the internet has become more accessible than ever. 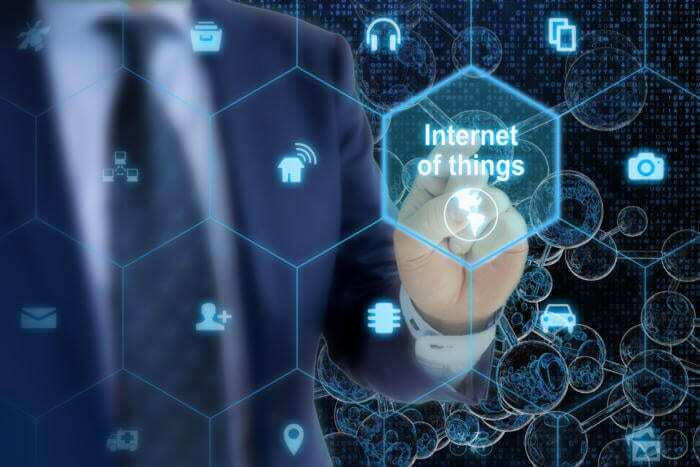 Secondly, a wide range of data analysis tools has been introduced, offering the ability to manage and interpret data from IoT devices more easily. In this way, IoT devices turn to be commanded. Despite these two factors, the most important part is the development of the cloud. Perhaps more than anything else, however, the growth of the cloud, has played a crucial role in the development of modern IoT. That’s because, there are several needs for an “Internet of Things”, always connected to internet and place where storage needed information. 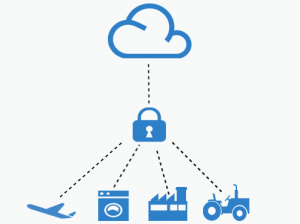 Effects of the cloud technology on the IoT are all positive. After the development of Cloud technology, the spread of the IoT devices is accelerated. People started to see an IoT’s benefit and their attitude changed. As a result, a new concept emerged in the foreground, “Big Data”. 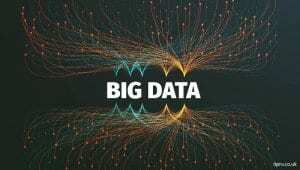 We keep saying ‘Big Data’, so what is the Big Data? With social media and increases internet using, the accumulating data has risen to very high levels on the cloud. These data were called “information garbage”. In the light of these happening, R&D companies extract useful information (based on advertising and manipulation) from information garbage. Useful information has been filtered from there. This filtered meaningful mass data has been called “Big Data”. Now everybody has a lot of electronic devices in their homes. Apart from the telephone and computers, what kind of possibilities do you have when you connect your electronic devices like coffee machine, light bulb, air conditioner and television to the internet? 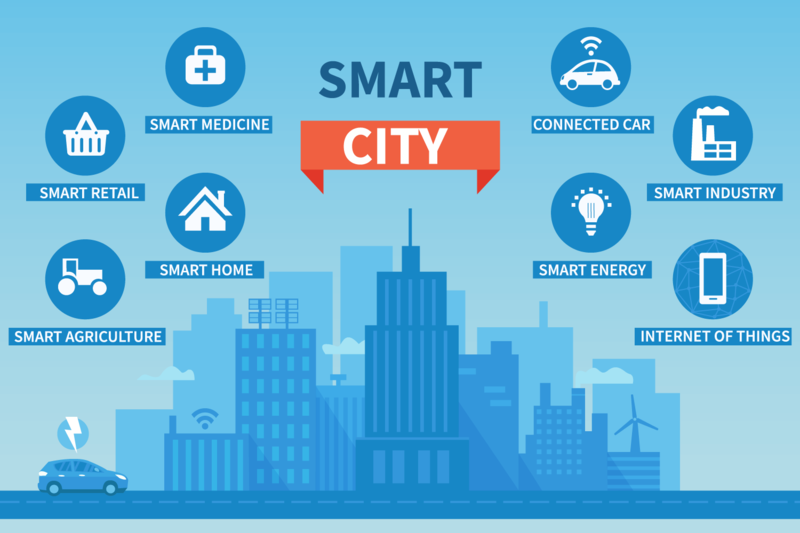 If we give an example of the use of IoT, it would be good to make the situation more concrete, but it shouldn’t be forgotten that these examples are only about smart cities. When you go out from the office and go to the house, the IoT devices recognize that your car is moving and coming home, with the help of GPS and opening air conditioners or heaters early, so, when you come home, the house temperature will be at your desired level. Through the garbage cans in your city are full or empty, garbage trucks are coming to them. This is causing wasting both the time and the fuel. The smart garbage cans, only send signals when they are full. The IoT device, located in the garbage truck finds the optimum way (shortest route) in the direction of the signals coming to it and tells the driver. This saves both time and money. While you are out of town, when a burglar trying to enter your house, a warning message comes in your phone and instantly notifies the police department. IoT is a must for the factories that take the instant measures themselves if the worse is a fire or a flood. If you want some cool Raspberry Pi IoT And Arduino IoT Projects examples, you can find more in our IoT tutorials.